Add character and make a statement with these gardening trends and pieces that will make your garden grow into every bit as much a destination living space as your artful interior. These vertically mounted botanicals may not be new to the garden scene, but hanging arrangements on a wall or a fence is a resourceful way to make the most of a small space. 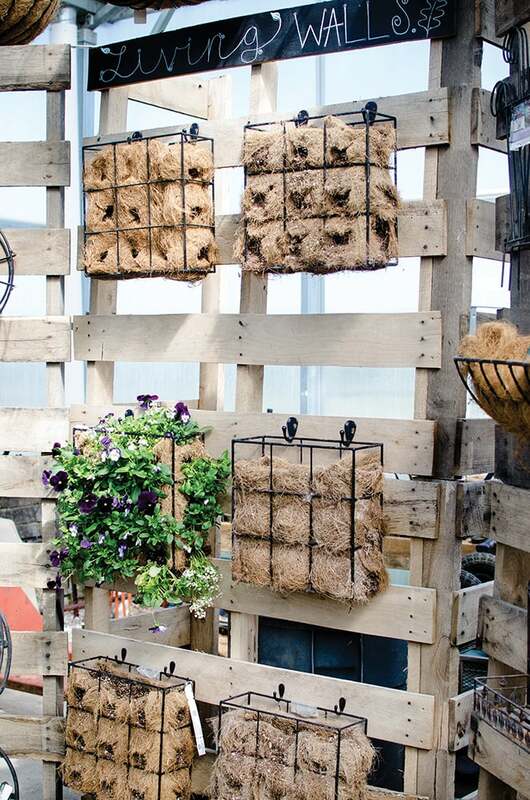 Get creative and make use of wall-mounted baskets, pallets, stackable crates — or even a ladder to showcase your prized plants. Another trick for maximizing limited horizontal space in your garden is stacking planters from largest to smallest. Use an odd number of planters or pots for stacking, and keep the materials similar so that the flowers remain the star of the show! Try placing a filled pot on top of an identical empty one to draw the eye toward plants you want to showcase. Combine complementary colors and textures of planters and pots grouped together to add an element of fun to your scene. Try a metallic-hued planter and pair it with a colorful patterned pot. Different container textures and colors can make as much of a statement as the plantings within. Fences, chairs, ladders and doorframes take on new life when coated with a fresh layer of vibrant paint. Take a hint from European influence and go with dark green or blue for a doorframe. Or, look into pieces made from repurposed materials. Eric Lorenz of The Garden Alchemist repurposes materials from old school desks and other odds and ends to create vintage-inspired bird feeders that he sells at Plume, a local gift shop featuring handmade goods. Succulents, cacti and other drought-tolerant plants are all the rage in the gardening world right now, thanks to a trend called xeriscaping, a landscaping technique that focuses on conserving water. 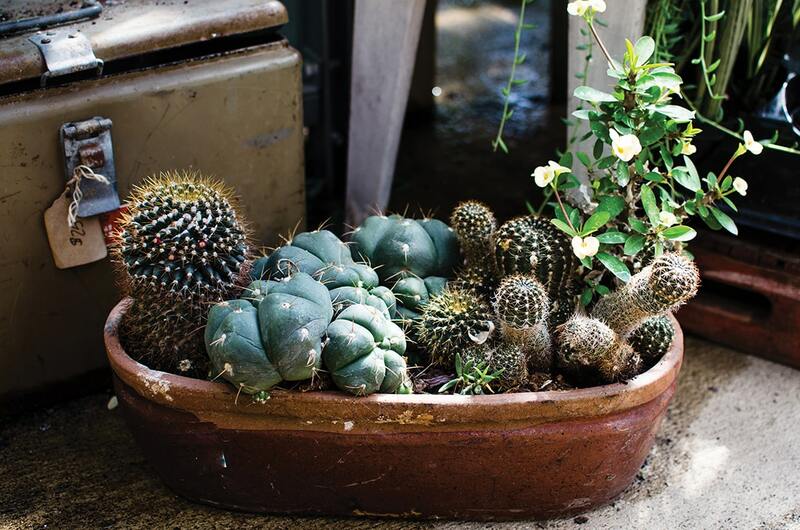 An added bonus to this method of gardening is little to no maintenance, making gardening — and show-worthy results — a feasible option even for individuals often on the go.